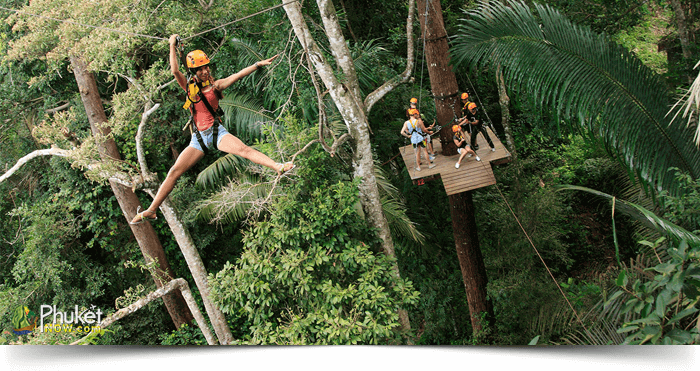 Phuket is not only a place of sea features but of many jungle adventures. 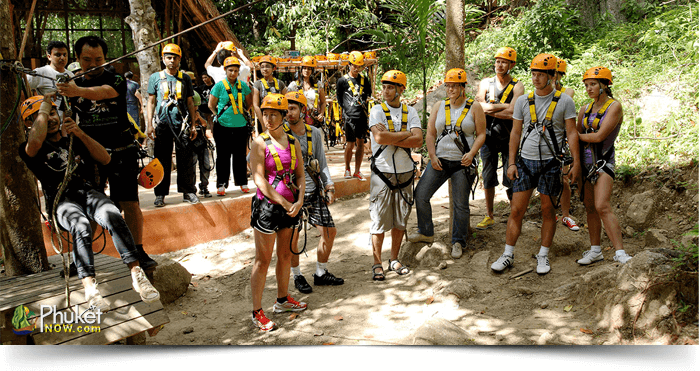 The tour ‘Zipline Adventure’ is one of the most exciting adventurous activities. It will be an outstanding experience you have hardly ever enjoyed. 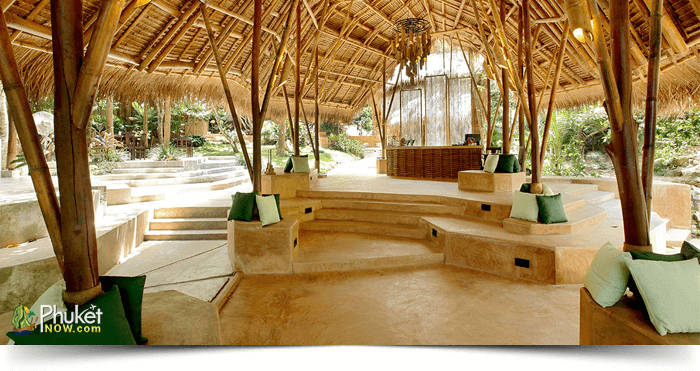 Through this eco-friendly tour, you can discover a great woody forest on this stunning island. Climb on an abseil point to explore the views of Phuket that go far beyond the sea. However, do the crazy staffs of Zipline activities and be a Tarzan for a while. You will be picked up from your hotel by an air-con licensed minibus. After arriving at reception point in the jungle, meet your professional guide who will give you a deep safety briefing before heading into the forest. 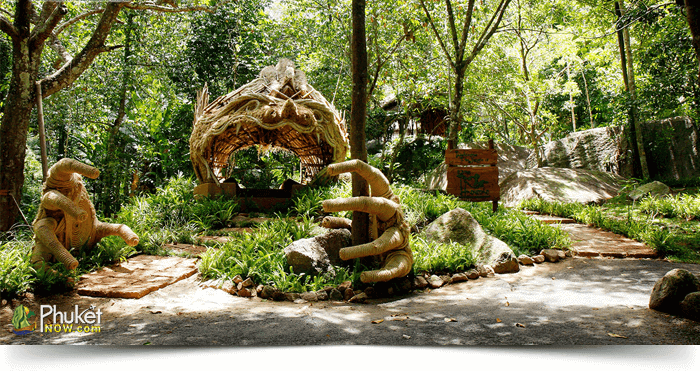 Discover the unseen natural jungle beauty untouched by modernization of Phuket. Good to know many old natives harvest different trees including rubber and live in the hillside which occupies about 80000 sq. metres. It is jungle of a wide variety of trees and songbirds. Moreover, a small creek runs through the jungle in rainy season, which can be an extraordinary overlook during your sky trailing. However, the course has 28 platforms including 15 Ziplines, 2 abseil points, 2 sky bridges, 3 spiral staircases and 1 sky trail. Be a Tarzan flying from tree to tree. 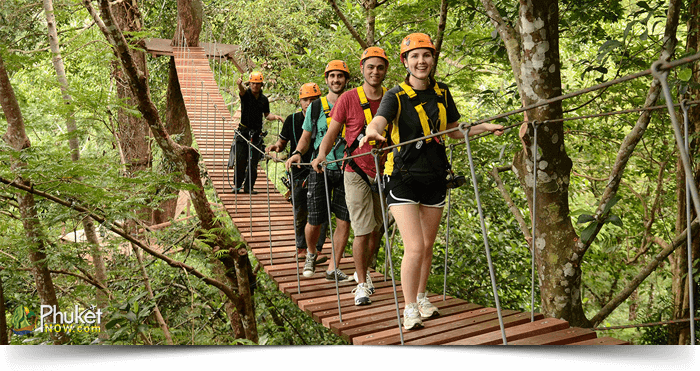 A haul of about 400 m Zipline which takes approximately 2.30 hour will be an unforgettable adventure. Enjoy the canopy of this forest. Use gadgets safely to capture these moments. Don’t afraid while passing the sky bridges and staircases. Keep shouting and thrill with joy during your sky trail. Go to abseil point 40m high from the land to start slinging and enjoy the panoramic view of Phuket Town. A 20-minute wild walk will bring you to the first platform. During this hiking, enjoy the birds singing and jungle tranquillity. Take some seasonal fruits and cheer up in the jungle. Then, you will be taken back to your hotel.